Warriors produced some of their best rugby of the season but it was not quite enough to secure their first win of their Premiership Rugby Under-18s Academy League at Blaydon’s Crowtrees ground. Warriors led by two points at half-time but Newcastle scored three converted tries in the second half to seal the win. 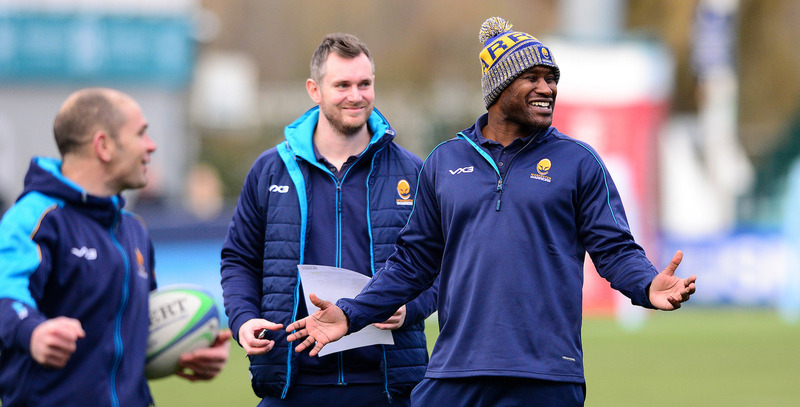 “We always ask for the boys to care when the put on a Worcester shirt and we saw that in abundance today, I am really proud of all of them, there are some tough fixtures for them to face so I am very proud of how they performed,” said Warriors’ Academy Manager Chim Gale. Warriors opened the scoring early in the first half through some well-orchestrated phase play from the forwards before centre Harry Spencer went over the line. Captain Sebastian Atkinson not only maintained a 100% kicking success from the tee during the match but also intercepted a long pass by Newcastle to run in from half-way to score just before the half hour mark. 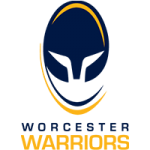 Warriors’ commitment in the breakdown often saw Newcastle conceding multiple penalties and forcing handling errors after being under pressure and Worcester’s resilience in attack put the Falcons’ defence under pressure. Worcester were 14-12 up at the break but they were unable to hold on to their lead as Newcastle quickly scored early in the second half. Warriors went ahead again when Jamie Constantine went over following a dominant lineout five metres from the line and an impeccably timed off-load from Morgan Monks. Warriors’ defence at times was outstanding and on many occasions forced Newcastle to concede penalties when they were close to the line. However, it was two Falcons two tries in the final quarter of the game that saw them claim victory. Warriors U18s | 15 Fin Morgan (Bromsgrove School), 14 Lewis Maddox (Bromsgrove School), 13 Harry Spencer Warwick School), 12 Sebastian Atkinson (Bromsgrove School) (C), 11 Rufus Hulbert (Bromsgrove School), 10 Fin Smith (Warwick School), 9 Oliver Wynn (Bromsgrove School), 1 Joe Richardson (King’sSchool, Worcester), 2. Jon Lilley (Stourport HS), 3 Jamie Constantine (Hartpury College). 4 Arinze Okemuo (King Edward’s School, Birmingham), 5 Jack Lewis (Stourport HS). 6 Jack Forsythe (Warwick School), 7 Will Higgins (Idsall School), 8 Morgan Monks (Worcester Sixth Form College).